Beat the heat this summer and enjoy free shipping on natural soy based products at SoyMagic.com when you order $35 or more of product. Enjoy the natural benefits of clean skin with our popular SoyMagic Skin Cleanser or try our amazing household cleaning products like SoyComplete All Purpose Cleanser or SoyShine Dish & Tableware Cleanser. Remove dirt and bacteria from fresh produce with our natural SoyFresh Fruit and Vegetable Cleanser, or keep your golf clubs in top form with SoyGolf Golf Club Cleanser. Just use coupon code FREESHIP7 at checkout. SoyWorld USA is based out of Illinois. Our mission from the beginning was to show the world that soy was much more than just a health food ingredient. As consumers ourselves, we were tired of using products that left our skin feeling dry, cracked and irritated. We also couldn’t shake the suspicion that breathing in toxic smelling fumes was unhealthy. We were also concerned about how all of these chemicals were harming the environment and waterways. After years of painstaking formulation and testing, we introduced SoyMagic Skin Cleanser using a revolutionary natural soy formula that cleaned exceptionally well and was friendly to the environment. We wondered if the same process could be used in other ways. Through time and more testing, the answer was a resounding “YES”. Our patented process starts with real soybeans – not soy extracts or soy oils – and is broken down into incredibly small particles. These micro particles travel at incredibly high speeds and force when they encounter a surface. The cleansing mechanism in SoyMagic is much more effective, much more efficient, gentler on your hands, and kinder to you and your family’s health. Independent laboratory results concluded our products are also up to 99.99% effective in fighting bacteria, including E. coli and Salmonella. Our products are non-toxic, biodegradable and help acids and oils break down in water systems. The Environmental Working Group recently released an updated version of its popular “Shopper’s Guide to Pesticides in Produce” with information on 45 fruits and vegetables. Also included for the first time is a Plus category featuring green beans and leafy greens. The EWG emphasizes the health benefits of including more fruits and vegetables in a daily diet outweigh the risks associated with pesticide residue. The guide is not intended to assess the risks of pesticide consumption, but looks at the overall pesticide load of fruits and vegetables to help consumers make informed buying decisions. The Shopper’s Guide is based on fruits and vegetables available to U.S. consumers and includes both imported and domestic produce. Every sample of imported nectarines tested positive for pesticides. 96 percent of celery samples tested positive for pesticides, followed by potatoes (91 percent). A single bell pepper sample had 15 different pesticides. Grapes have more types of pesticides than any other produce. No single fruit sample from the Clean Fifteen™ had more than 5 types of pesticides detected. Avocado, sweet corn and onions had no detectable pesticide residues on 98 percent or more of the samples tested. More than 90 percent of cabbage, asparagus, sweet peas, eggplant and sweet potato samples had no more than one pesticide detected. Visit Foodnews.org to view a complete list of fruits and vegetables analyzed for this year’s guide. Whether you are a professional golfer or someone who enjoys a good game on weekends, taking care of your golf clubs should be a top priority. Dirt on golf clubs can have a negative impact on your game. Dirt can also transfer to golf balls, which can affect distance and accuracy. Regular maintenance of your golf clubs can extend the life of your equipment as well as improve your golf game. SoyWorld USA has a natural product designed for cleaning your clubs without harsh chemicals or abrasives. 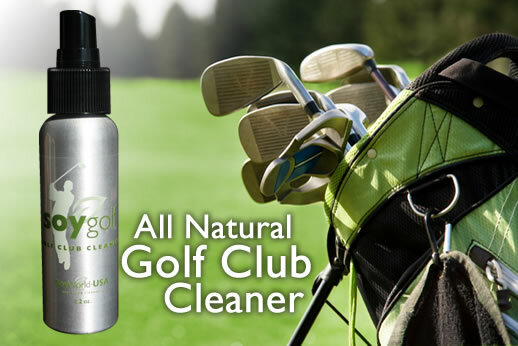 SoyGolf Golf Club Cleanser is designed for on-course application and fits easily in your pocket or golf bag. Clean, polish and remove grass, grease and grime with one quick spray of SoyGolf. It’s also effective against ball marks, grass stains, and tee marks while restoring luster to clubs! Our mission from the beginning was to show the world that soy was much more than just a health food ingredient. As consumers ourselves, we were tired of using products that left our skin feeling dry, cracked and irritated. We also couldn’t shake the suspicion that breathing in toxic smelling fumes was unhealthy. We were also concerned about how all of these chemicals were harming the environment and waterways. After years of painstaking formulation and testing, we introduced SoyMagic Skin Cleanser in 2004 that used a revolutionary natural soy formula that cleaned exceptionally well and was friendly to the environment. We wondered if the same process could be used in other ways. Through time and more testing, the answer was a resounding “YES”. Our household products include SoyMagic All Purpose Cleanser, SoyShine Dish & Tableware Cleanser, and SoyFresh Fruit and Vegetable Cleanser. Our patented process starts with real soybeans – not soy extracts or soy oils – and is broken down into incredibly small particles. These micro particles travel at incredibly high speeds and force when they encounter a surface. The cleansing mechanism in SoyMagic cleansers is much more effective, much more efficient, gentler on your hands, and kinder to you and your family’s health than any other cleanser currently on the market. An independent laboratory also tested our products and found them to be 99.99 percent effective against fighting bacteria. This puts SoyMagic in a truly elite category of disinfecting cleansers developed from natural active ingredients. 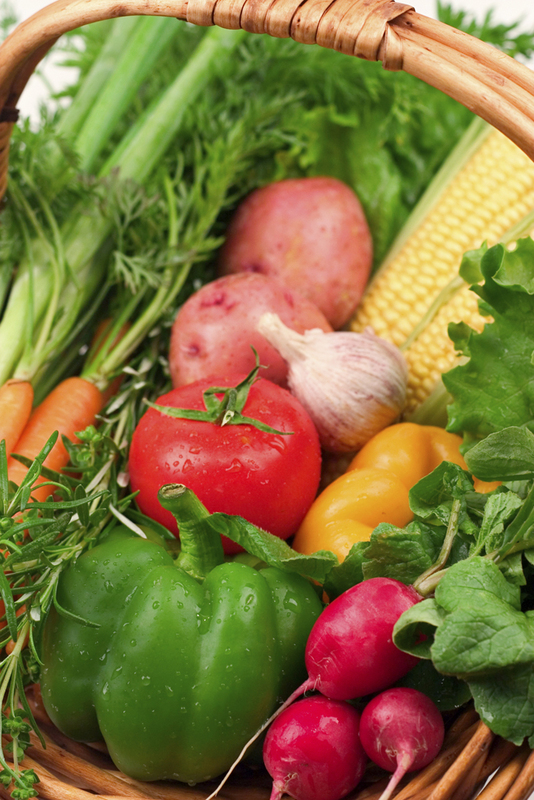 Fresh fruits and vegetables are a staple of summer cooking. Whether home grown, store bought or purchased from a local farmer’s market, fresh produce is healthy and nutritious, but it can also harbor dangerous bacteria if not stored, handled, and washed properly. Following basic storing, handling and cleaning techniques goes a long way in making fresh produce safe to eat. Keep fresh produced stored in the refrigerator with a temperature of 32 to 36 degrees Fahrenheit. Items such as onions, garlic, peppers, potatoes, tomatoes, bananas, and whole melons are best kept in a cool, dark environment with no refrigeration. Refrigerate produce once it’s been sliced or cut. Refrigerated produce should be stored separate from uncooked meats. Make sure counter tops, cutting utensils and surfaces are clean. Thoroughly wash hands before handling produce. Throw out badly bruised, moldy or mushy produce. Trim stalks and stems before washing, as germs can bury themselves in tiny crevices. Rinds or outer skins also need washed. 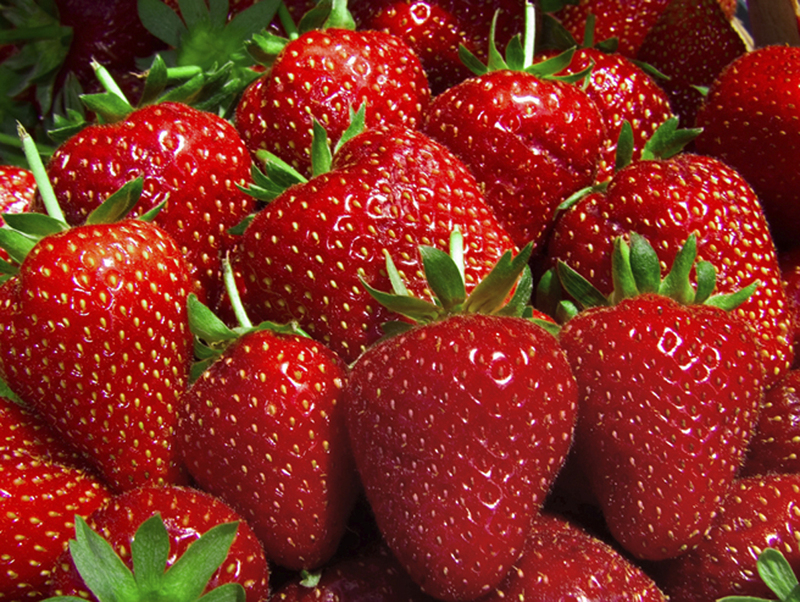 Dirt, bacteria and pesticides can be transferred inside fresh produce when cutting. It’s just as important to wash pre-cut and packaged produce. Spray with a soy-based fruit and vegetable cleanser and follow with a short soak and rinse. No need to agitate as the soy micro particles naturally does the work for you. Rinsing fruits and vegetables in water is often not enough to remove all harmful bacteria. People don’t rinse long enough or use enough rubbing force for water to be completely effective. The great thing about using a soy-based fruit and vegetable cleanser is it naturally removes bacteria, pesticides, dirt, wax, and fingerprints. Enjoy more vibrant looking and safe to eat produce. A soy-based cleanser can also be used on cutting boards and other food preparation areas as another line of defense against harmful bacteria. Spending a lot of time outdoors as the weather gets warmer can take its toll on the skin. From sun damage to clogged pores, it’s just as important to care for your skin during warm weather. A lot of focus is given to moisturizers, but do not underestimate the importance of skin cleaners. It’s the first step of skin care and also prepares the skin for products applied afterward. The amount of skin cleansers on the market are vast and choosing one can be mind boggling. Some skin cleansers can irritate the skin; make it greasy, tight or filmy. Other cleansers are hard to wash off and sting if used in the eye area. Choose a cleanser that will nourish and cleanse the skin without stripping essential oils. Soy is great for all skin types. Soy skin cleansers won’t over dry the skin, and they rinse off easily without leaving any residue. Soy also helps accelerate cell turnover. Soy is also great for problem skin such as dry, oily, combination, eczema, psoriasis or acne. Soy’s natural Saponins draw out harmful substances which contribute to problem skin, while the lecithin in soy breaks down oils and acts as a firming agent. Earth Day (April 22) is almost upon us. Entering its 42nd year, Earth Day is celebrated worldwide to promote environmental protection and sustainability through events, petitions, and campaigns such as Billion Acts of Green. This year’s theme, Mobilize the Earth, hopes to join voices around the world to promote energy that is renewable, efficient and accessible. The goal is to register 1 billion actions before the global Earth Summit in Rio in June. Whether it’s eliminating toxic cleaning products, using reusable shopping bags at the store, doing laundry in cold water, or recycling paper at the office, there’s an action for every person. Head on over to EarthDay.org and learn more about the history of Earth Day, or to register your green action. A lot of these are minimal or no cost actions that will actually help you save money. SoyWorld USA is all about helping you and your family live a healthy and natural lifestyle in 2012. Our products are made from pure soybeans. Our household products offer a more eco-friendly alternative to classic cleaners available on the market. In fact, we explored the hidden dangers in traditional cleaning products in 2011 – click here to read more! You’ll be surprised to learn all the harmful chemicals found in traditional household cleaners. Some chemicals break down harmlessly in the waterways after being treated and released at municipal treatment facilities. Others do not and act as hormone disrupters, potentially threatening the reproductive capacity of fish, birds, and mammals. Other chemicals are classified as pesticides by the EPA and kill helpful bacteria in the waterways. Our products are biodegradable and also help other oils and acids decompose in the ever threatened water systems of the world. To learn more, visit us at SoyMagic.com or visit us on Facebook. We’re also offering a discount on the purchase of two or more cleaning products through the end of February. Just use coupon code GRNHOME04 at checkout.